CLOSEOUTS. 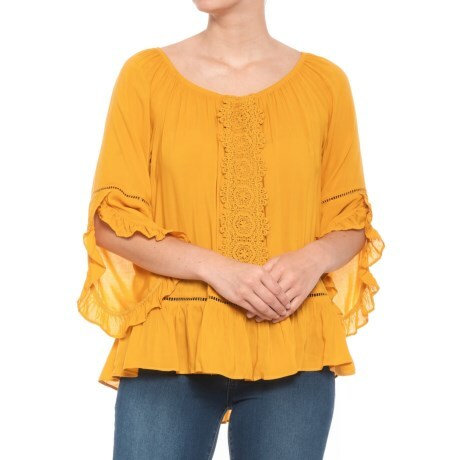 Feminine, fresh and fun, this Fever solid bell sleeve blouse is a perfect partner for pairing with love-worn jeans for a boho-inspired outfit. Available Colors: SANGRIA, GOLDEN YELLOW, DUSTY BLUE. Sizes: S, M, L, XL.